Say, you have a decision tree like this. 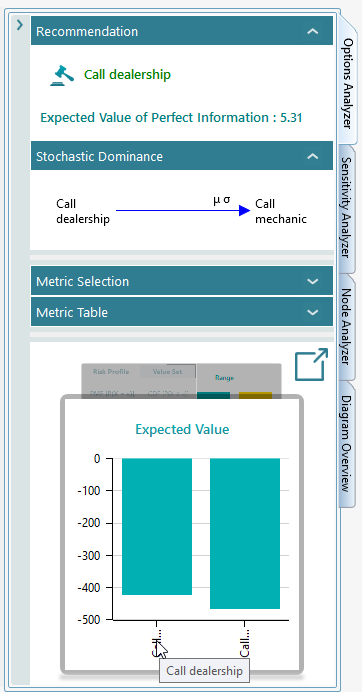 Your planning point is the root node where you started your decision analysis about which path to choose "Go by Car" or "Go by Plane"
Now, say, you chose the option "Go by Car" and you encountered the event "Car break down". Now, you need to decide if you should call the dealership or the mechanic. 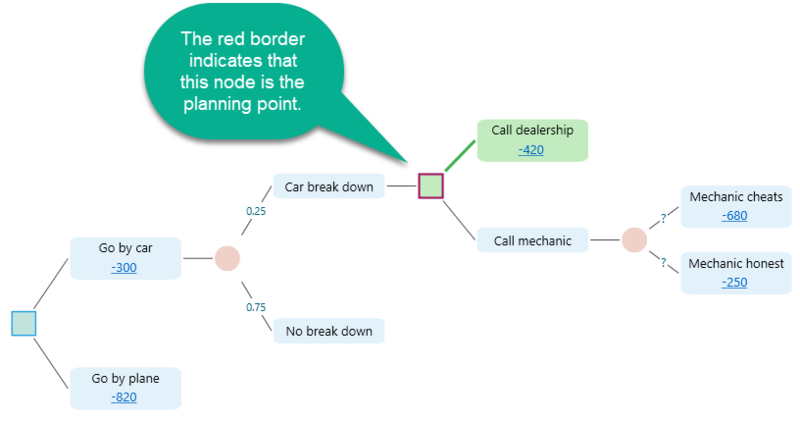 So, at this point, your planning point is shifted from the root node to the decision node shown after the event node "Car break down". You can set that decision node as the planning point from the flyover menu of the selected decision node as shown in the following screenshot. 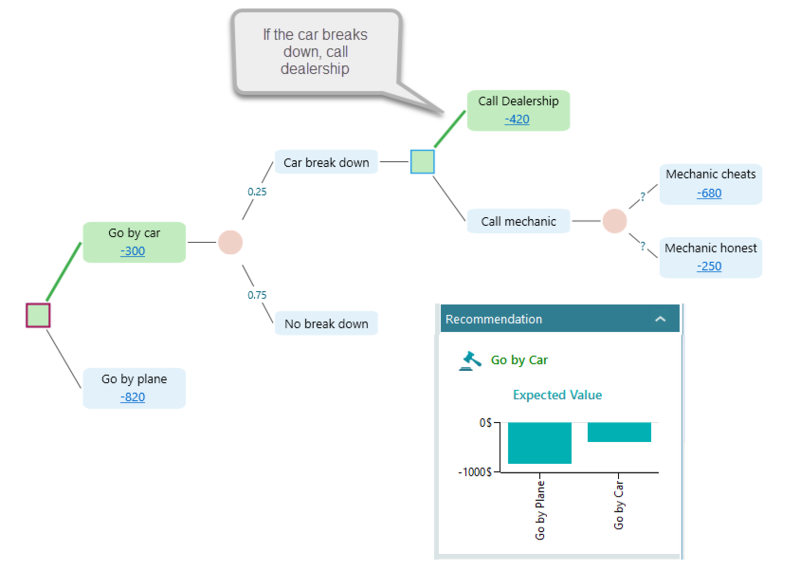 Once the planning point button is clicked on that decision node, the decision tree view is updated as shown in the following screenshot. All calculations and analysis are also updated based on that change.